I have been debating for a long time the subject of what factors really make a heart patient inoperable. I think this is a good time and venue for me to share a few thoughts and a piece of advice with those of you that have been involved in first person or through a friend or a relative in this difficult conversation. Saying to a high risk heart patient that there is nothing that can be done to help can have devastating and terminal consequences. The creation of a webpage dedicated to inoperable heart disease has been inspired by Gwen, a recent high risk cardiac surgery patient I treated in my center. Her story echoes many others I dealt with in the past. She had undergone a prior aortic valve replacement about ten years ago in a center in Upstate New York. Over the last two years she has developed a severe amount of calcification on her bioprosthetic valve, resulting in a recurrent severe aortic stenosis. Gwen is in her 70’s and has advanced lung disease caused by 60 years of cigarette smoking. Her cardiologist recommended a life-saving redo aortic valve replacement and has embarked in a nationwide search for a surgeon who would be willing and able to perform the operation before it is too late. Her symptoms were severe. She lost a fair amount of weight and now weighs about 85 lbs. She gets very short of breath every time she walks even a short distance. She has survived colon cancer a year ago. She has been hospitalized for congestive heart failure and pneumonia that has required intubation and mechanical ventilation 6 months ago. Each time she has recovered enough to go back home against all odds. Because of her frailty and bad lung disease 5 major academic cardiac surgery centers in the North East and the Midwest turned her down and dismissed her over the phone as “too high risk” without even considering a full evaluation in person. I sadly suspect that some centers might be more interested in their statistics and bottom line than in an individual patient’s chance for a better life. In spite of all these health problems she is clear-minded, independent and definitely not ready for a miserable end of her life in a hospice care facility. She is a retired CPR teacher for Emergency Medical Service staff. She and her husband lost their respective spouses and then remarried about three years ago. Once their kids went on with their lives they found and cherished each other’s companionship. Her husband is certainly not ready to give up and tells me they deserve a lot more time together. Her daughter carried out an extensive internet search for a heart center with advanced expertise in high risk heart conditions. Their efforts and hopes are finally gratified. I invited them to come and see me for a preliminary evaluation in person. She and her husband traveled to our minimally invasive heart surgery center in North East Ohio. After a preliminary examination and several pre-operative diagnostic studies she is deemed operable. Her heart muscle is strong, she has no significant coronary disease. The main concern in other centers was focused on her poor lung function and the question of whether or not she would be able to breathe on her own after surgery. She was not even considered for a full personal consultation. What was obviously ignored was the relevant fact that she was able to be weaned off the mechanical ventilator twice over the last 12 months. The first time was after her colon cancer surgery when she was weaned off the ventilator in less than 24 hours after surgery. The second time was after her admission to the Emergency Room with a pneumonia and congestive heart failure requiring intubation. She has survived these two instances and managed to go home each time. There was truly no safe medical alternative to a surgical intervention on her failing heart. Severe aortic valve stenosis with symptoms is a guaranteed short term killer unless it is treated with surgery in a timely fashion. She underwent a redo aortic valve replacement and had an excellent recovery and the chance to live many more years of good life with her family. These happy endings are unfortunately uncommon because many patients and their families do not know what to look for and where to go for help. Here are some tips to find out if something can be done to treat a high risk heart condition. Always keep in mind that different heart surgery services can have different expertise and technical options in otherwise very difficult heart surgery cases. 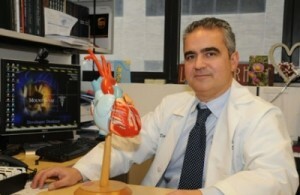 A second opinion in a heart center with the right expertise can make all the difference. Ask your local cardiologist and heart surgeon why you are an inoperable heart surgery patient and write down their answers. 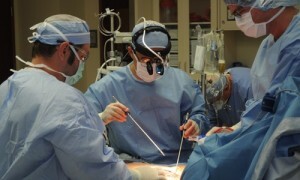 An expert high risk heart surgery specialist can often evaluate each case and handle many risk factors with excellent results and techniques that might not be available locally. The local physician might be blaming, for instance, the bad lungs for symptoms that are at least in part related to the heart condition. Fixing the heart condition might reverse these symptoms enough to save a patient and restore quality of life. Ask what your chances are without surgery. What some surgeons and cardiologists fail to tell you is that doing nothing about your “inoperable” heart condition is much riskier than the surgery to fix it. It is important to know this to help you make the right choice and consider a second opinion. Obtain copies of all your imaging studies (i.e. : CAT scans, Echocardiograms, Left Heart Catheterizations, Stress Tests, MRI’s) and medical reports. Contact a center with expertise in high risk and “inoperable” heart surgery cases and request an evaluation of your case.